Advanced Hair Loss Prevention for Men and Women. Laser Hair Loss Treatment Therapy is the latest non-surgical scientific approach to treating hair loss, thinning hair, baldness and problems associated with the scalp. Laser Hair Rejuvenation is a tested, proven method using low level laser energy, or “soft” laser light to effectively treat the appearance of hair loss in both men and women. Laser Hair Therapy has been tested for both safety and effectiveness for over 30 years. Widely published studies show that laser hair therapy works. It works by delivering safe low level lights that help heal damaged cells and hair shafts, resulting in thicker, fuller, healthier hair. With low level laser hair therapy, you can revive dying hairs and achieve thicker, fuller, shinier, and healthier looking hair with consistent use. In 1964, Professor Andre Mester began experimenting with the use of low-power laser energy in Budapest, Hungary. In his experiments with wound treatment on mice, he noticed rapid healing due to microcirculation of blood supply. This healing was also obvious in Laser Hair Rejuvenation treatment of diabetic patients suffering with dystrophic sores. Laser Hair Therapy utilizes a device containing therapeutic low level lasers developed in Europe. The treatment delivers light energy directly from laser positions designed to cosmetically treat the appearance of thin, fine, damaged hair. Laser Hair Therapy has been shown to be especially effective when used in a multi-therapeutic hair loss treatment and prevention program that includes medical grade hair loss treatment products which focus on inhibiting DHT (the major cause of hair loss), while at the same time providing a controlled program of hair nutrition and scalp treatment to stimulate your natural hair growth cycles. 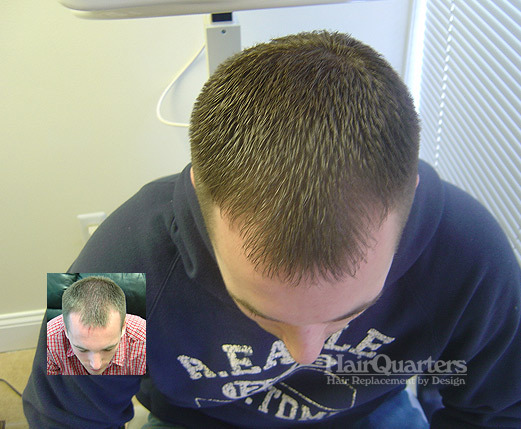 The appearance of reduction of hair loss usually occurs after five to six treatments. 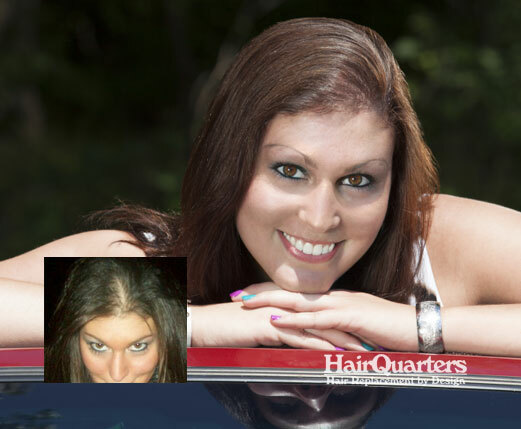 Some patients and clients have also indicated that they have also experienced hair growth after 12-18 treatments. Low level laser light is compressed light of a wavelength from the cold, red part of the spectrum of electromagnetic radiation. It is different from natural light in that it is one precise color; it is coherent (it travels in a straight line), monochromatic (a single wavelength) and columnated (it concentrates its beam in a defined location or spot).  Laser hair therapy has also been shown to be especially effective in many men and women when used in a multi-therapeutic setting in combination with a recognized hair loss control program such as Transitions exclusive dhtSENSOR hair loss prevention and control program.